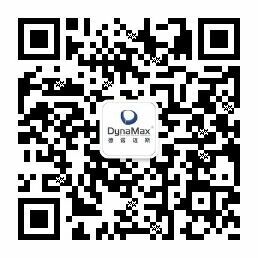 DynaMax was established in 2003 and locates in Skyworth building of Nan Shan science & technology park in Shenzhen.DynaMax dedicates in providing customers with IOT completed hardware & software products, cloud platform service and smart lifestyle integrated solutions. Our brand positions as smart life system integrator and platform provider. Provide supply chain cooperators with smart life product integrated solution and provide users with smart life experience & service. With five subsidiary companies in Dynamax Group ,business covers: smart home, software development, LED lighting, 3D printing, international trade and other fields. In the smart home industry, our company owns an excellent international team, from product designers of Hong Kong, overseas senior product manager in IT industry, domestic and overseas joint R & D engineers and marketing services teams. The marketing network covers all over the world . After 10 years of development, Dynamax has established 6 subordinate office in the world, 3 research and development centers, 2 production bases and many “production and research” cooperation projects. ◆6 subordinate office:Hong Kong, Thailand, Germany, Australia, Indonesia, Malaysia. ◆2 production bases: With production bases in Shenzhen and Indonesia Jakarta. ◆4 “production and research” cooperation projects: Cooperate with South China University of Technology, Xiamen University, Huaqiao University, Shenzhen Polytechnic and other academic research and development institutions. Company vision:To be world-class smart lifestyle operation service providers. Product philosophy:Drive your live with innovation.